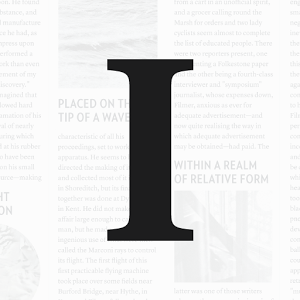 Instapaper is a popular service for saving web pages to read later, one that competes with the likes of Pocket and Readability. 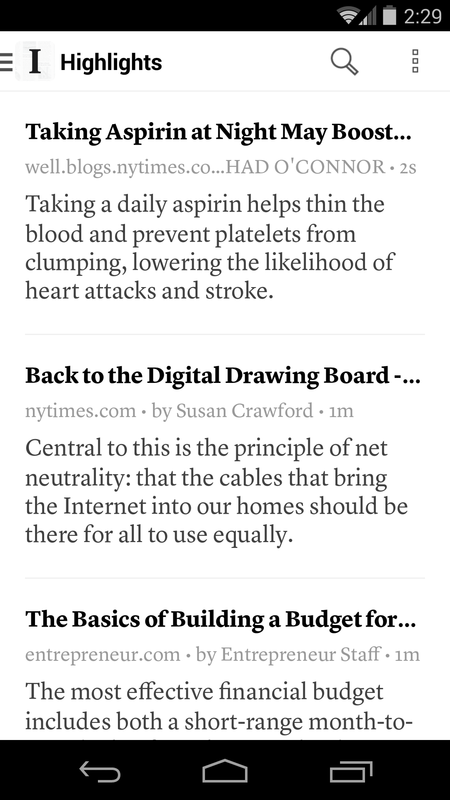 Today the app hit the big 3.0, so I'm going to take a moment to highlight what's new. 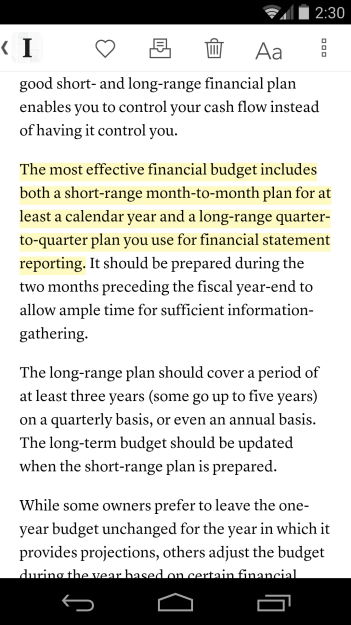 The headlining feature is text highlighting, the ability to save a section of an article to read or share with others later. The app groups all of these snippets together in an accessible location. These highlights are then synced with other devices and the web. There's a catch though. Freemium users are limited to five highlights per month. Removing this restriction requires a $1 monthly payment. Version 3.0 goes on to introduce alterations to the design, including a tweaked logo and a new color theme. 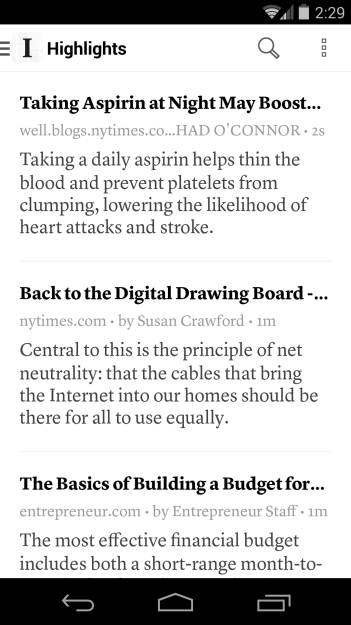 Aesthetics aside, the update also brings in a browsing section with daily recommendations from Instapaper. Introducing Highlights. You can now highlight and save text from any article! Create a highlight by selecting text and pressing the "Highlight" option. 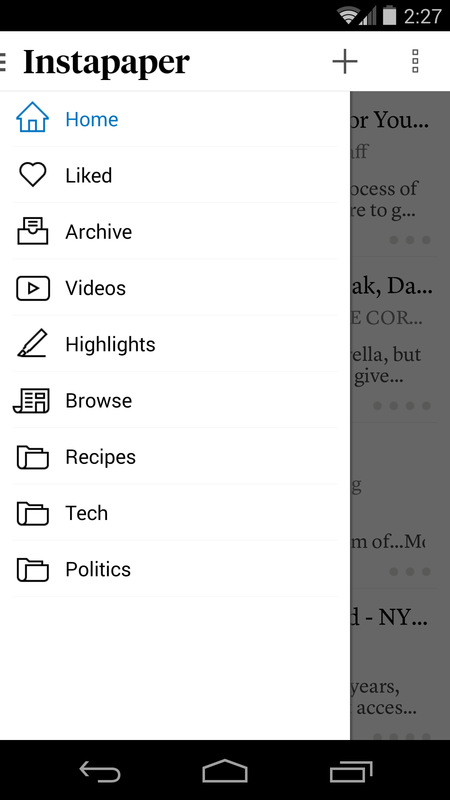 Move articles from folders directly back to "Home"
You can get your hands on the new features via the widget below.